Why Convert Flash Content to HTML5? For a long time, we have been reading about the certain and inescapable death of Adobe Flash. There has been a lot of speculation on the net – ‘Is Flash dying?’, ‘Is Flash dead?’, ‘Is Flash dead yet?’, ‘Adobe Flash is dead?!?!?! ?’, – but now we have it straight from the horse’s mouth. Adobe will euthanize Flash, and by 2020 (that’s just around the corner, and closer than we think), there will be no sign of Flash. 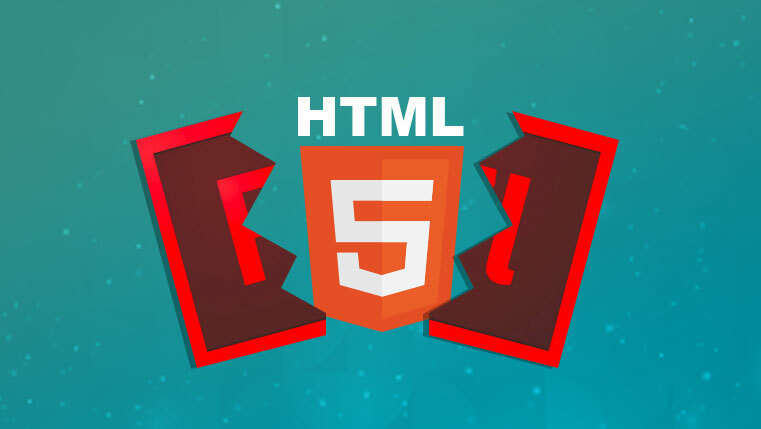 In this blog, we will look at all the reasons to convert Flash content to HTML5. In the eLearning world, we advocate Flash to HTML5 conversion. Flash has served us faithfully for two decades or so. The eLearning industry has progressed to keep up with the changing corporate landscape, and the training requirements of learners; sadly, Flash has not been able to keep up with today’s technological advancements. HTML, on the other hand, is the old kid on the block who can still meet new requirements (with HTML5) which is a more current technological advancement; and like every update or upgrade, HTML5 is easier to use, and works seamlessly with newer technologies. That brings me to another reason to convert Flash eLearning content to HTML5 – new devices. When Flash ruled the world, smartphones and iPads were unheard of. The common man was comfortable with his desktop – that played Flash files perfectly well. Today, iPads and smartphones are the norm. Everyone now has at least one smartphone. eLearning is accessed on a variety of devices (mLearning or mobile learning), and with globalization and the need to reach a wider, busier, and dispersed workforce, there is also a need to ensure training is delivered to them in a manner acceptable to them. What do I mean by that? Newer devices do not support old browsers such as Internet Explorer; whereas only old browsers support Flash. Flash cannot work on new browsers and therefore it’s important to convert Flash content to HTML5. More importantly, Adobe has let the world know that 2020 will see the last of Flash. With no support, we have no option but to convert all Flash eLearning to HTML5. Converting Flash content to HTML5 is actually a good thing. Flash, as we all know, drains a battery quickly because it uses heavy processes. With a growing number of remote workers who rely on their mobile devices for connectivity, performance support, and training, it is important to be able to switch to power saving options such as HTML5. With Adobe closing its Flash operations soon, there is no hope that there will be updates to make this power-draining problem go away. It’s true that Flash has been widely used until now to play online games and watch online videos. HTML5 provides this same functionality – but better. HTML5 gives learners a very rich multimedia experience – which in turns creates interest and engagement. Interactivities again make learning engaging; and knowledge retention is higher. Then finally, there is that little problem of security. Steve Jobs saw Flash as the reason for Mac computers crashing. But if you have always used Flash for your eLearning courses and do not see that as a reason to change, then think about this – after 2020 there will be no support or security updates for Flash. Depending on the number of courses you have, it would take time and planning to convert your content to HTML5. The earlier you start – the better. Thankfully, Adobe has been kind enough to give us all time till 2020 to convert Flash content to HTML5. Adobe is working with biggies such as Microsoft, Alphabet, Facebook, and Mozilla to help them and their users make a smooth transition. If we start immediately, we will have enough time to convert our Flash eLearning content to HTML5. It’s your turn to take a call and make the best use of existing Flash eLearning. Are you ready to get started? Convert Flash to HTML5: Why Does It Make Business Sense?